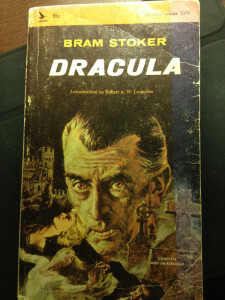 I just re-read Dracula, with the benefit of nearly 70 years of fanboy pathology. I read it in high school, but I found the epistolary format kind of boring. Re-reading it for my Back to Basics project, it worked a lot better. Each “letter” ends on a cliffhanger, which keeps those pages turning. The format shits the bed at the end, though. The Count’s final demise is narrated in Mina Harker’s journal, and she sees it through binoculars. It’s pretty anticlimactic. 1. Dracula is essentially beaten by 19th century information technology. There’s a terrific scene at the midpoint where Mina Harker types up all the relevant diaries, giving them access to all the data on the Count. Telegrams send information faster than the Count can move, as do multiple mail deliveries. At one point, Mina’s knowledge of local rail tables is pivotal. 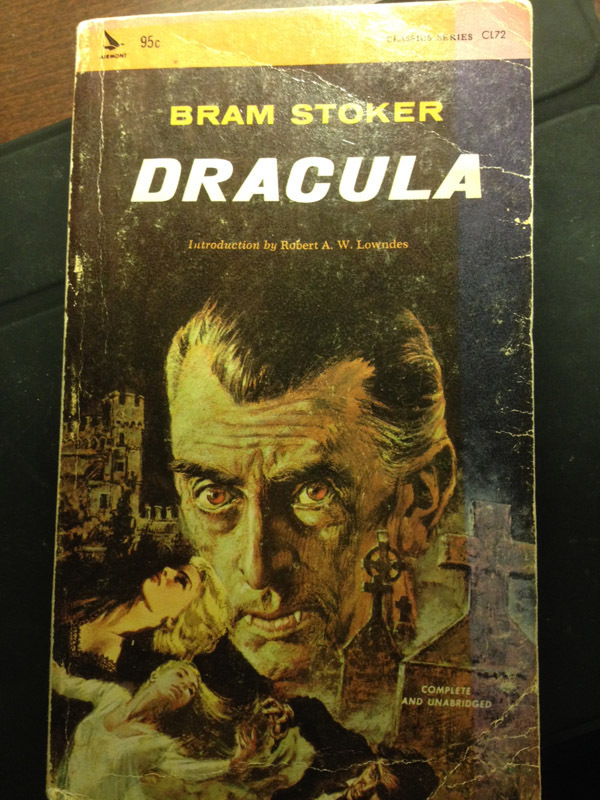 Dracula isn’t beaten by a stake, but by Mina’s typewriter and Dr. Seward’s phonograph (wax cylinders, natch). 2. The setpieces are phenomenal. 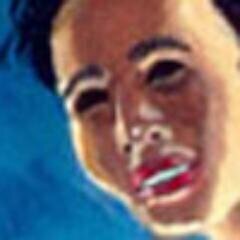 A ship of the damned ramming the harbor under a thundercloud, the Count walking down the wall, hypnosis by dust motes … Stoker came up with some amazing imagery. 3. The piece relies a literal belief in God. Turning into a vampire isn’t just death, and it isn’t just turning into a monster. It’s depicted as a stain on the character, almost like an irresistible temptation to sin. It’s made clear that the vampire’s immortal soul is in torment until the curse is released. It raises the stakes in a way Buffy the Vampire Slayer never could do. 4. Fan service has deep, deep roots. The book’s most shocking scene comes around the end of Act 2. Dracula invades their castle, puts Jonathan Harker in a trance, and attacks Mina. As the hunters burst in, the Count is holding Mina’s hands with one hand, while his other holds her head to his chest. He’s forcing her to drink his blood! Immediately after that scene, the “God talk” increases, and everyone spends more time discussing and praising God. That allow readers to pretend they didn’t enjoy the scene they came here to see. 5. It would have gone a lot better for the Anti-Drac Squad if they trusted women a little more. Surely some of the silly women servants could have donated blood to Lucy Westenra, not just the strong men. And there’s some mid-book complications after the Squad decides to keep Mina out of the plans. 6. It would’ve gone better for Dracula if he picked a different woman to bite. Of all the women living in London at the time, he chose to victimize the two who were loved by a pack of vampire hunters. 7. Count Dracula’s powers are ill-defined, and that’s good. At one point, the Count is perfectly able to walk around in daylight. At another point, Jonathan Harker finds the Count in his coffin during the day, and he’s so dead asleep that he takes a shovel to the head without waking up. The Count clearly has limits, but it’s difficult to tell what they are. Sometimes, he walks and talks among people like a man. Other times, he’s a literal demon. These inconsistencies might be the result of Bram Stoker needing to hit a word count on a deadline, but to me it adds to the mystery. A monster that can be defined is one that can be understood, and can be easily fought if you know the right formula. To me, it’s more horrifying if you don’t know the rules. It’s the difference between a ghost story and an action movie. 8. There’s one American, a Texan, and he carries a gun. 9. Bram Stoker loved a good accent, boy howdy you betcha guv’nor.